The Planyo Online Booking App launches on Zapier! 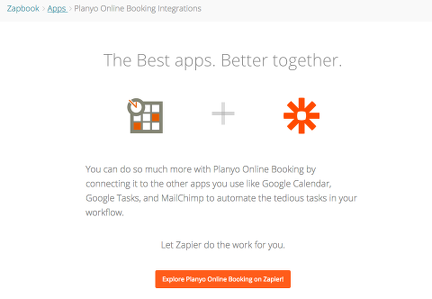 Zapier gives you the power to integrate the Planyo Online Booking system with hundreds of other apps to automate your work. Explore Planyo on Zapier!